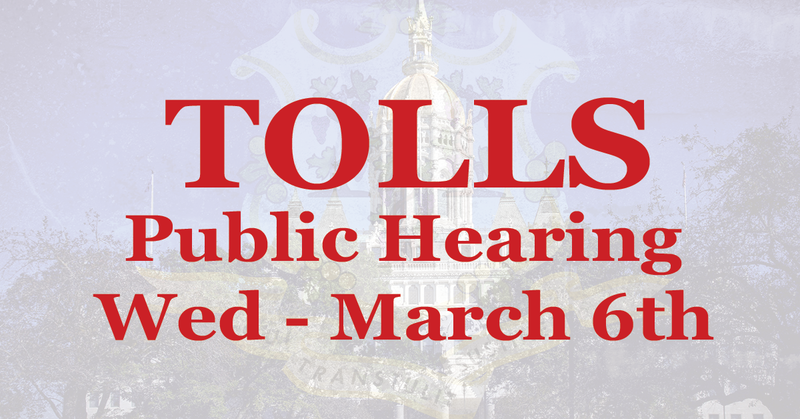 Late last year, a well-publicized study on highway tolling indicated Connecticut residents could see as many as 82 toll gantries placed on highways throughout the state. Gov. Lamont, through his two-year budget proposal, has proposed 53 toll gantries. I oppose these measures and encourage you to submit testimony in regards to your stance on this issue. The hearing begins at 11 a.m. in room 1E of the Legislative Office Building (LOB.) You can testify in person. Public speaker order will be determined by a lottery system. Lottery numbers will be drawn from 7:30 to 9 a.m. in Room 2401 of the LOB. Speakers arriving after the completion of the lottery will have their names placed at the end of the speaker list. Please submit 55 copies of written testimony to the Committee staff at 7:30 a.m. in Room 2401 of the LOB. Testimony received after the designated time will not be distributed until after the hearing. If you can’t make it in person, submit your written testimony (PDF document) via email by sending it to TRAtestimony@cga.ct.gov. Be sure to include the bill numbers in the subject line and copy me on the email – Stephen.Harding@housegop.ct.gov.